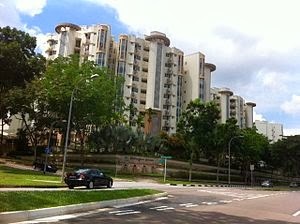 Hillview is located at West region of Singapore. Hillview was developed into a private residential enclave with a large part of private condominiums and landed properties. Hillview boast several private condominiums like Hills TwoOne (21), a residential condominium by Macly RL Pte Ltd.
Hillview is well-accessible via the Bukit Timah Expressway (BKE), Ayer Rajah Expressway (AYE) and Pan Island Expressway (PIE). Nearby MRT are Hillview MRT and Bukit Batok MRT Stations. Nearby schools in Hillview include Bukit View Primary School, Assumption Pathway School, Bukit Timah Primary School, Assumption English School, Chestnut Drive Secondary School and more.